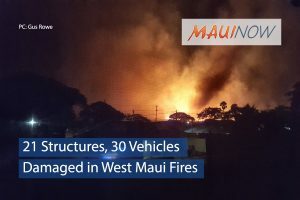 (Update: 3 p.m. 8.25.18): A total of 21 structures and 30 vehicles were damaged in Friday’s fires in West Maui, according to new information released by the Maui Department of Fire and Public Safety. 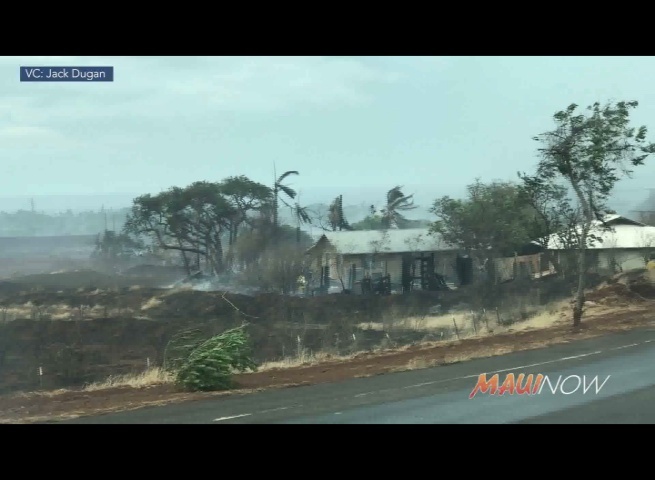 Six of those structures are located near Lahainaluna and the other 15 are are near Launiupoko, including homes on Punakea Loop,Hokiokio and Kauaula Valley. 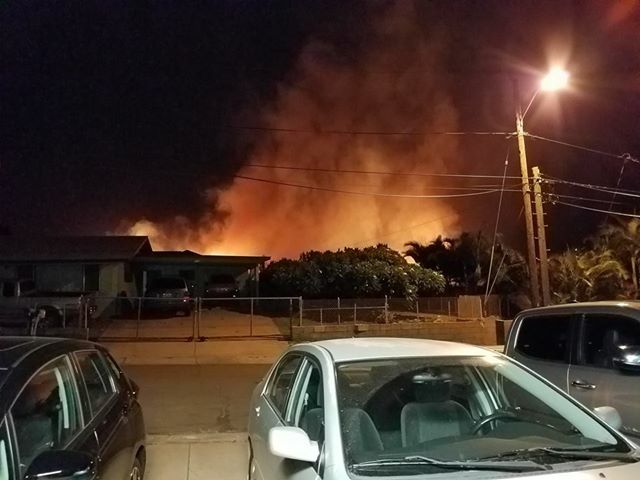 Battalion Chief Michael Werner says the information is part of an initial damage assessment report, and also included damage to a baseyard with heavy equipment. 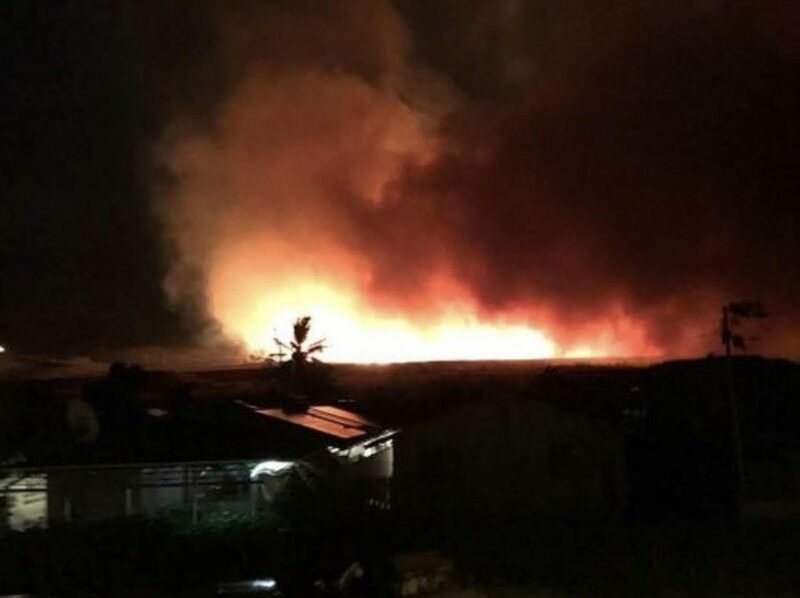 While the Māʻalaea and Kāʻanapali fires have been fully contained, the Lahainaluna to Launiupoko fire was at 80% containment at around 3 p.m.
Maui County fire personnel were mopping up the Makai, Lahainaluna, Launiupoko flanks on Saturday afternoon while crews from the State DLNR Division of Forestry and Wildlife were working on the mauka flank in the Kuia area. 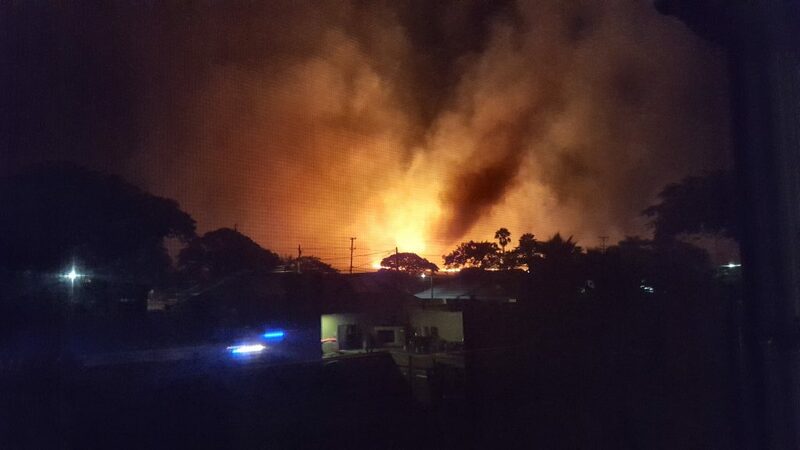 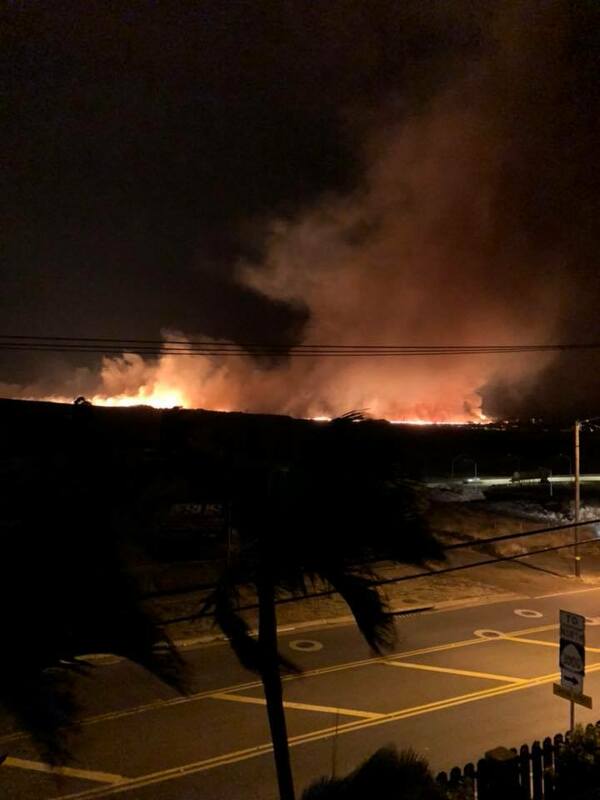 Authorities say there were a total of three fires in West Maui that started on Thursday night and Friday morning. 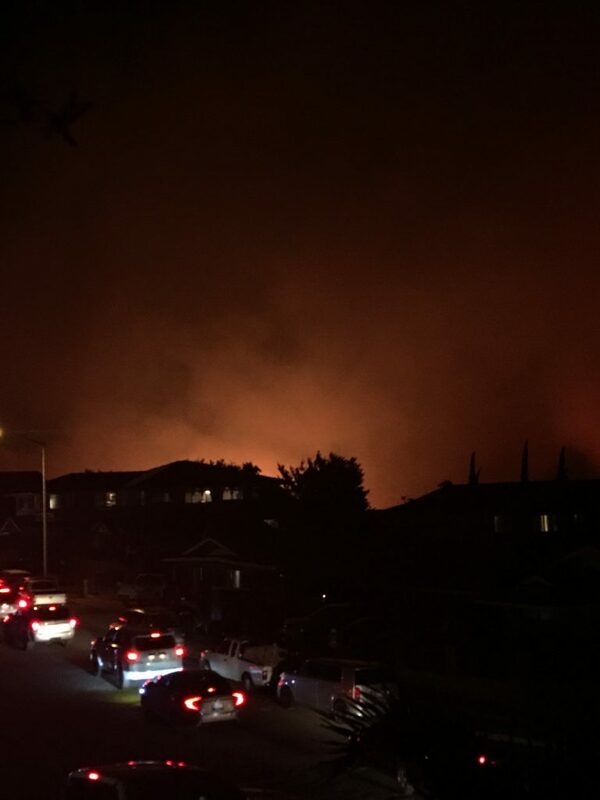 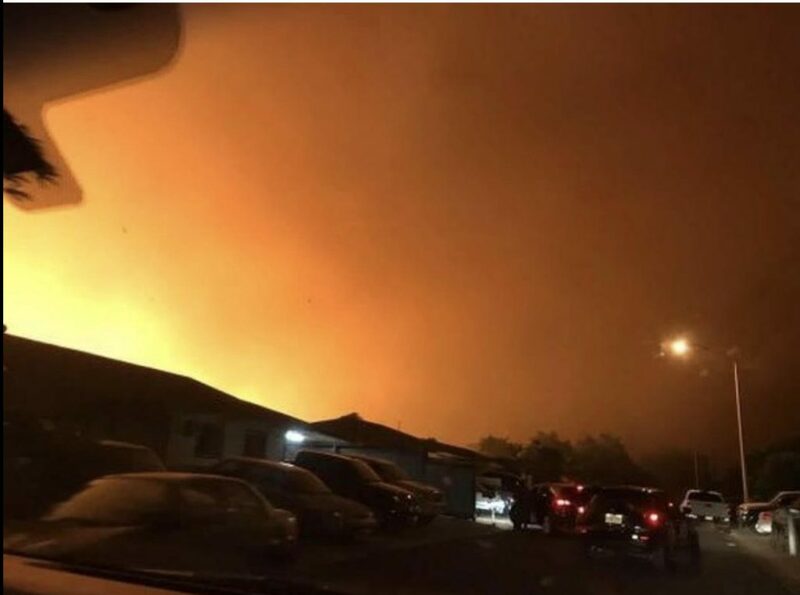 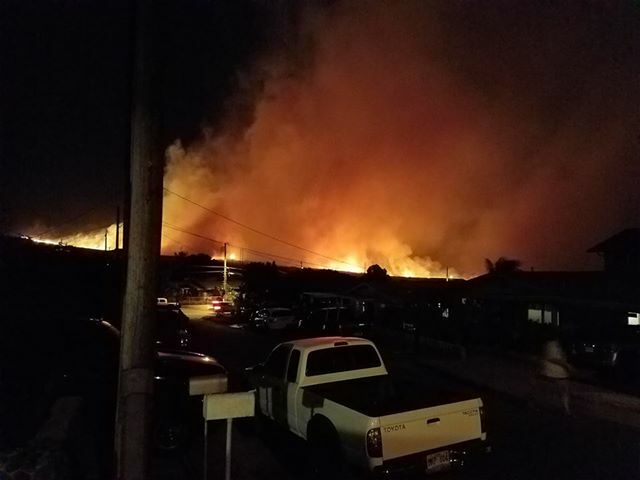 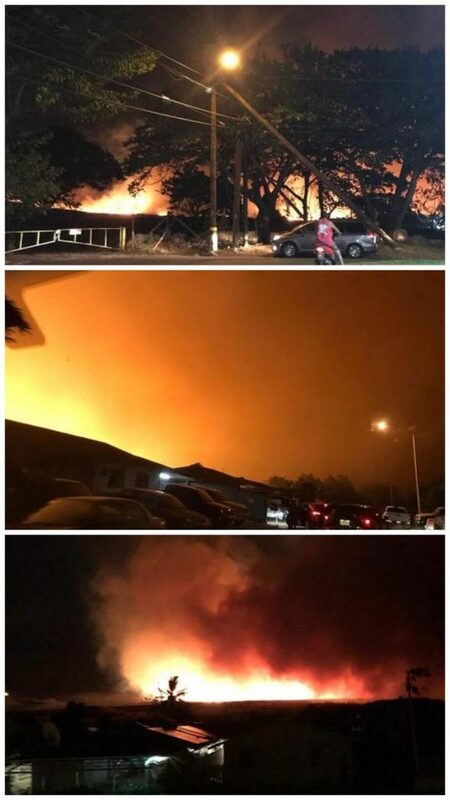 The first occurred at around 9:44 p.m. on Thursday and burned 30 acres in Māʻalaea; next was Launiupoko/Kauaula fire that started at around 1 a.m. on Friday and had burned at least 1500 acres at last report; and several hours later, at 7:20 a.m. on Friday, the fire in Kāʻanapali started and spread to 800 acres. 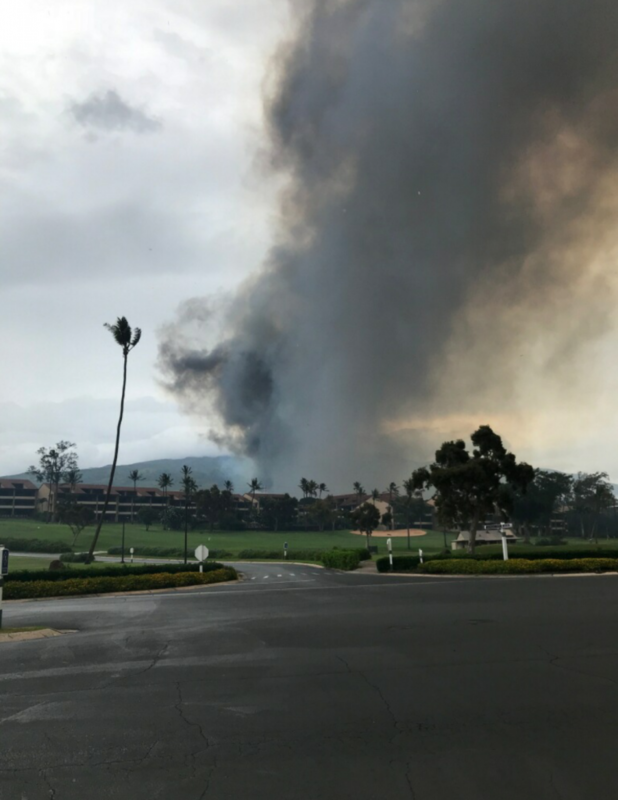 County officials say winds of 48 mph prevented the department from utilizing helicopter water drops. 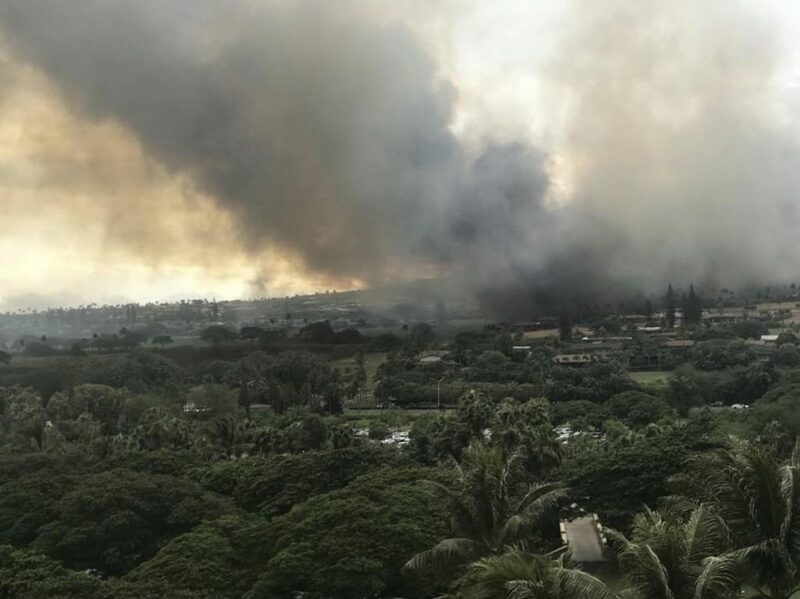 At least one female was injured in the Launiupoko fire and was transported to Oʻahu for treatment of burns to her hands and legs. 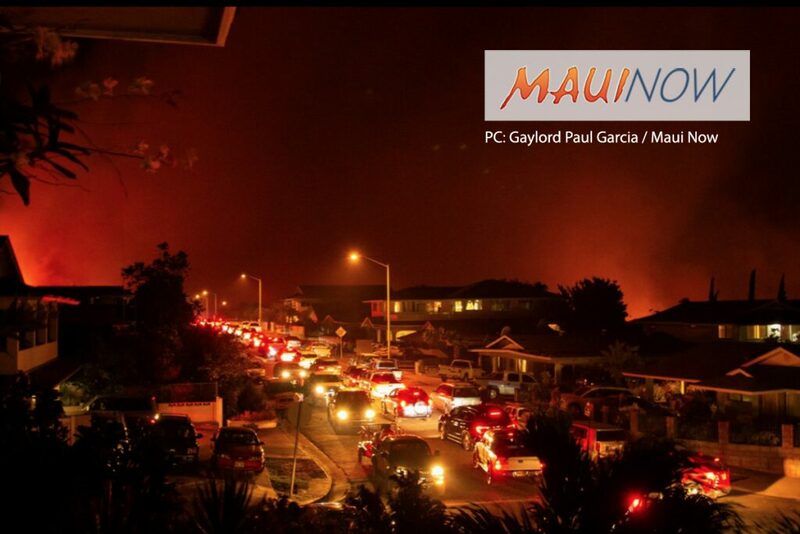 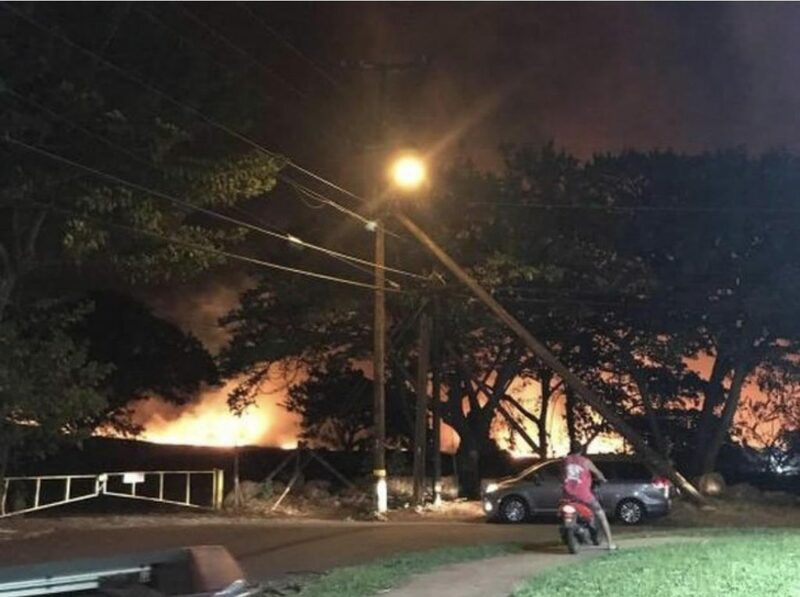 Hundreds of individuals were evacuated during the morning fires in Kāʻanapali and Launiupoko, which also resulted in the temporary closure of the Honoapiʻilani Highway, which serves as the main artery between West and Central Maui. 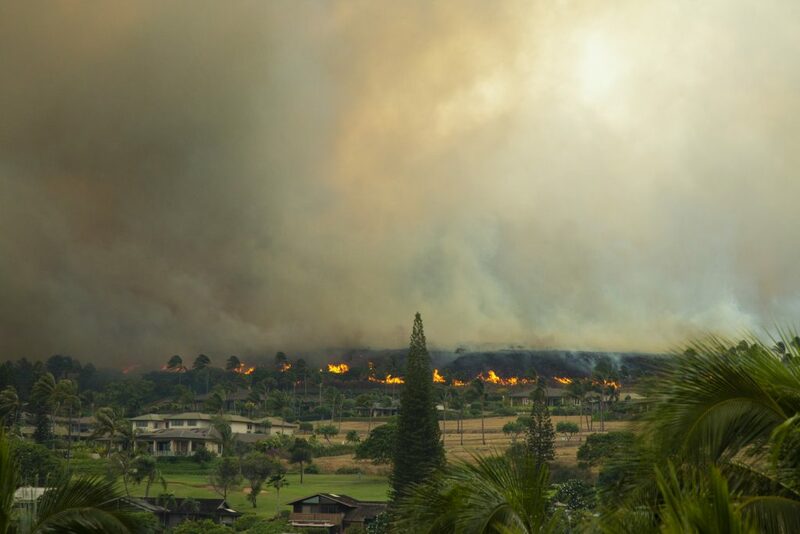 West Maui fires 8.24.18. 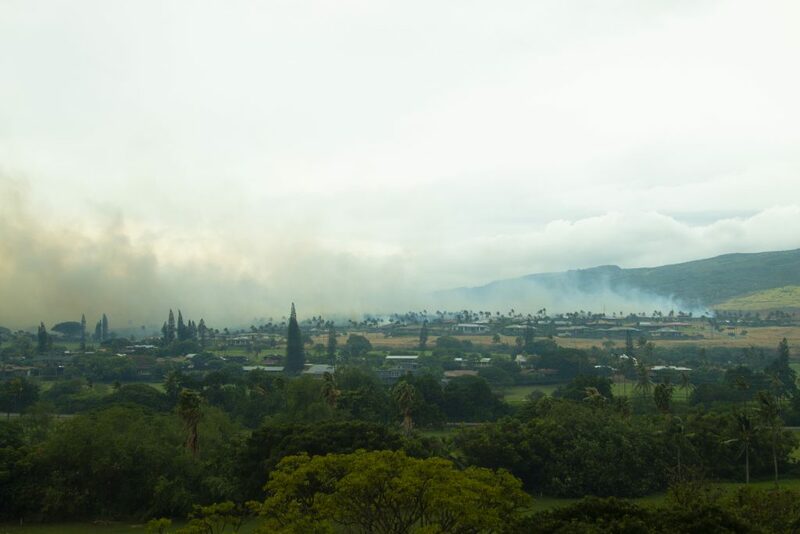 PC: Jack Dugan.